The Kerala State Science and Technology Museum had an informative exhibit on electronics on the ground level. The functional simulations did a good job of demonstrating how grid voltage modulates the thermionic current in thermionic valves, or vacuum tubes. 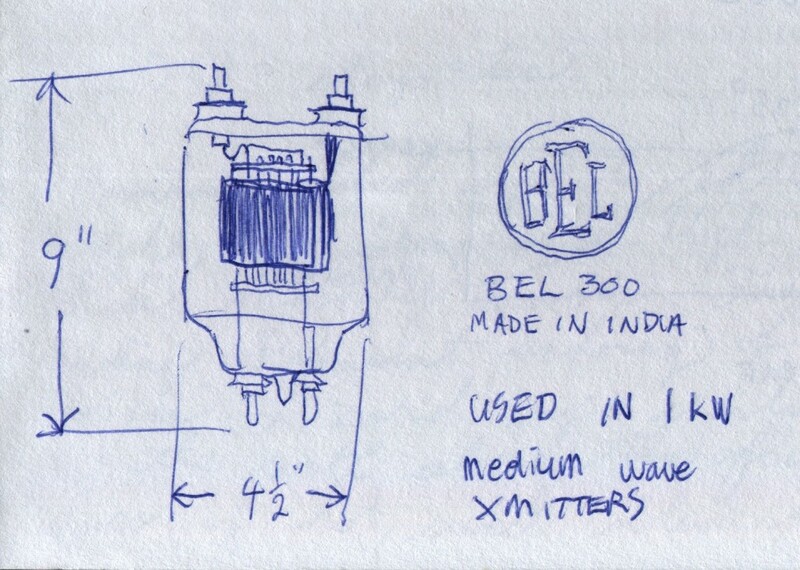 On display was this BEL 300 broadcast triode, with a glass envelope volume of about one litre. The model BEL 300 appears to be equivalent to the RCA 833A. With its high power handling capacity, I thought that it would make a stupendous stereo amplifier output tube. It turns out, others have already built such amplifiers. This double harmonic pendulum reverses its direction. The staff at the museum fill the funnel with sand and set the pendulum in motion. 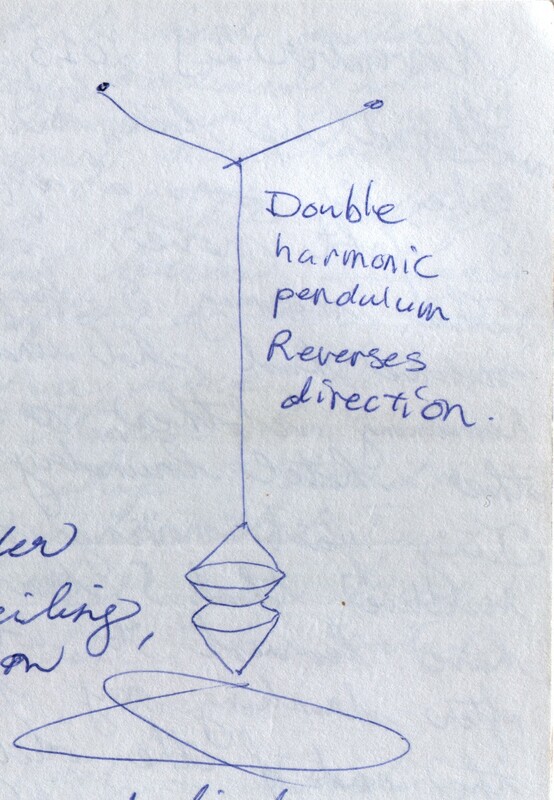 The sand draining out of the funnel traces out the pendulum’s path. Kerala State Science and Technology Museum, Thiruvananthapuram. A road roller stood near the entrance to the Kerala State Science and Technology Museum in Thiruvananthapuram. This one appeared to have been retired. I drew this sketch from memory, as I felt self-conscious about standing in public and sketching. 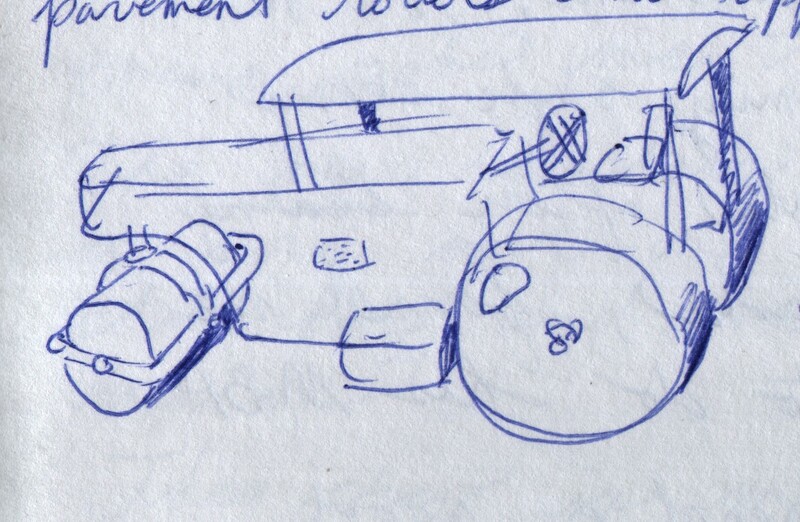 After overcoming my hesitancy, I later went to sketch the road roller in more detail. This road roller, made by Jessop Co Ltd, Calcutta, stood beside a road near the entrance to the Kerala State Science and Technology Museum. I believe that the neighbouring property belongs to the city’s works yard. Most of the road rollers that I saw in Kerala were built on this pattern. I often saw crews repairing roads with these rollers. Usually a crew of workers with shovels accompanied the roller, and on bigger jobs, an asphalt mixer and a small, three-wheeled truck. 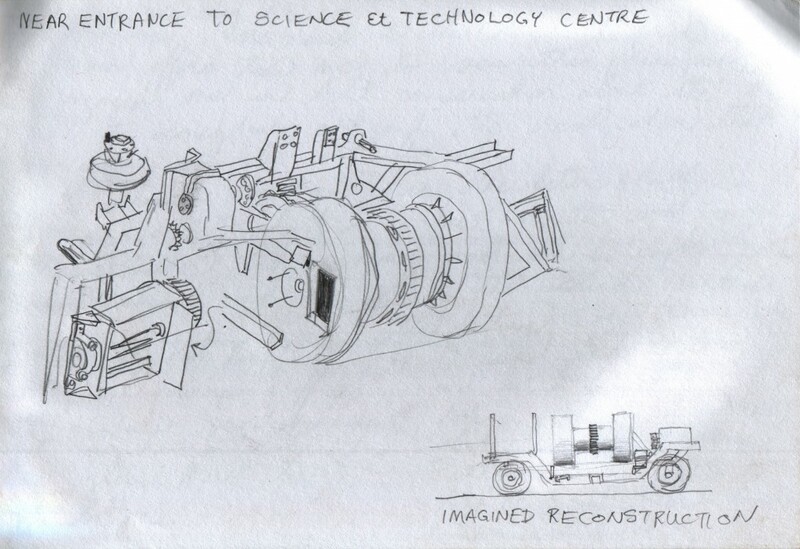 I thought that these teams appeared to be easily deployable, based around one machine that could move from job to job under its own power. On a small road, these crews seemed a good fit for the size of the job. In contrast, in my city we use huge machines that have to be delivered on flat bed trucks. No doubt, there is a payoff in reduced labour costs by using one machine that does the work of many, on infrastructure that is usually on a larger scale. However, I was reminded again how we have invested in cumbersome machines, whereas these small road-rollers, like any car, park by the side of the road when not in use. This machine remnant intrigued me, and I later learned that it was probably an asphalt mixer for road work. 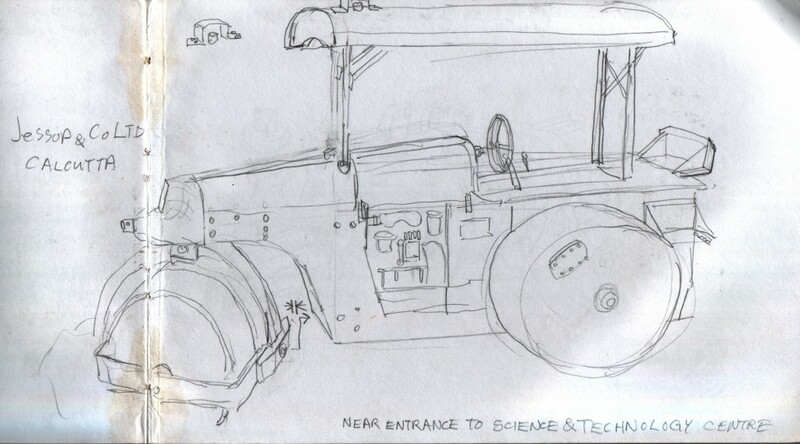 This machine lay behind the Jessop road roller near the Kerala State Science and Technology Museum entrance.